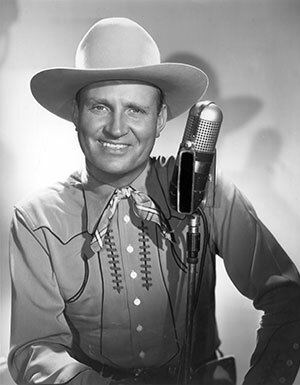 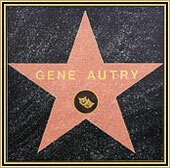 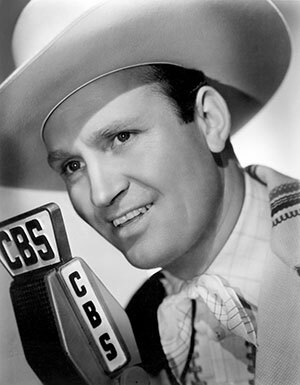 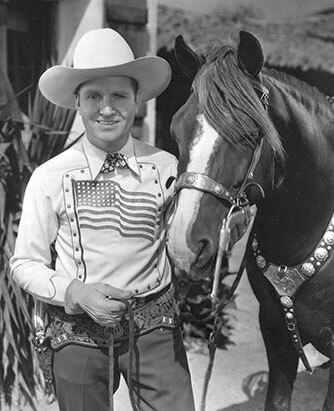 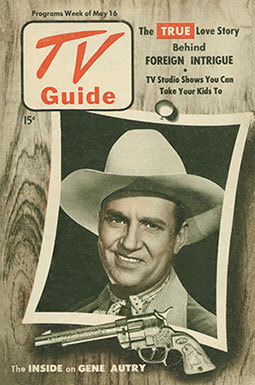 Gene Autry is the only entertainer to have all five stars on the Hollywood Walk of Fame, one each for Radio, Recording, Motion Pictures, Television, and Live Performance. 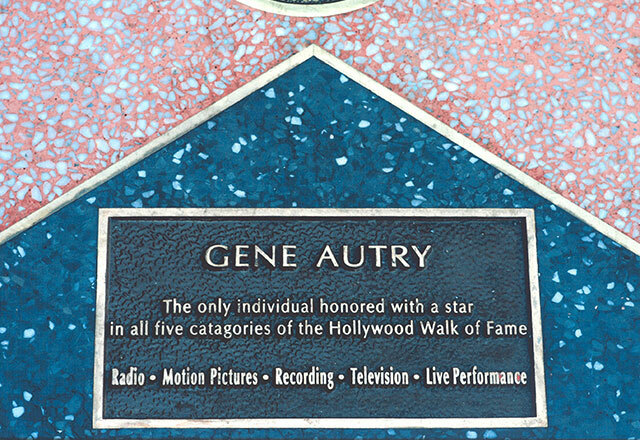 The Hollywood Chamber of Commerce created the Hollywood Walk of Fame in the late 1950s to honor the four different aspects of the entertainment industry at that time – Radio, Recording, Motion Pictures, and Television. 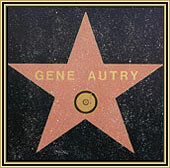 Gene Autry received all four of these stars on February 9, 1960. 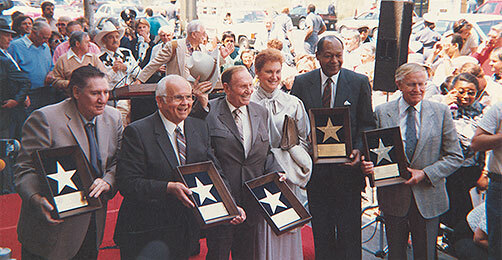 The fifth star for "Live Theatre" was added in 1984 to allow persons who excelled in all types of live performance to be considered for stars. 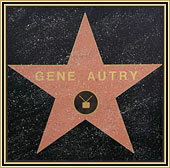 Gene Autry received this star, today known as "Live Performance," on April 6, 1987. 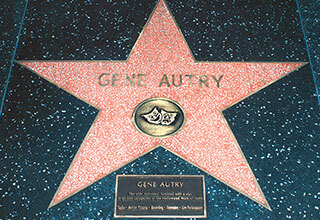 There is yet to be another entertainment icon who has earned all five stars of the Hollywood Walk of Fame. 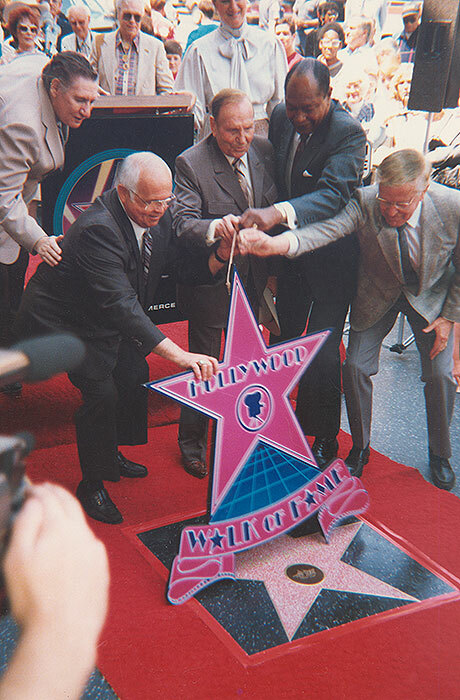 The Hollywood Walk of Fame Star ceremony that we are familiar with today began in 1980 with Johnny Grant, who chaired the Walk of Fame Committee. 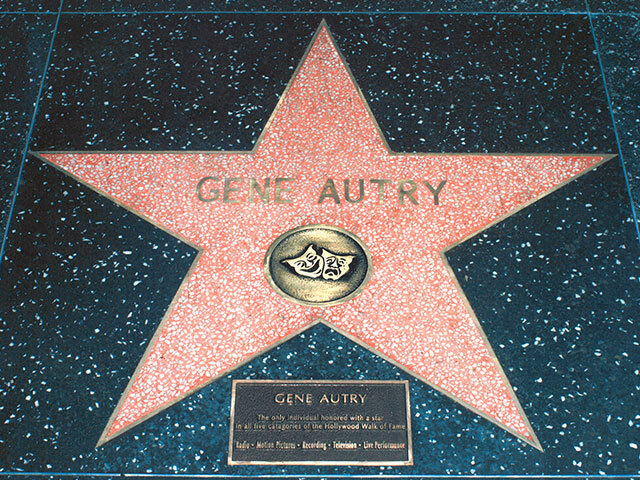 When Gene received his fifth star in 1987, he had a special star unveiling ceremony on Hollywood Blvd. 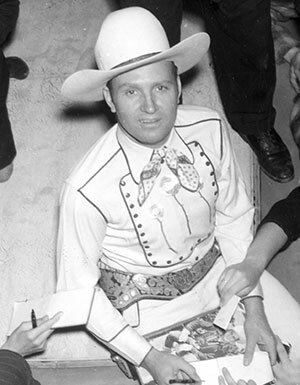 attended by Johnny Grant, who was then the Honorary Mayor of Hollywood, as well as Los Angeles Mayor Tom Bradley. 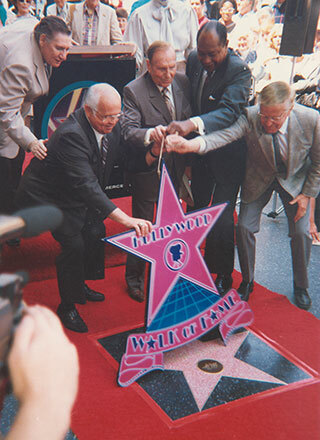 Pat Buttram, Honorary Mayor of Hollywood Johnny Grant, Gene Autry, Los Angeles Mayor Tom Bradley, and Bill Welsh. 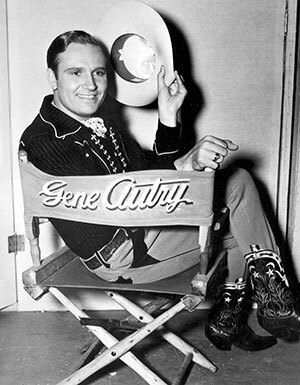 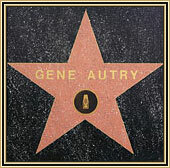 In 2003 the Hollywood Chamber of Commerce placed a special plaque on Gene Autry's star for Live Performance recognizing the achievement of having all five stars on the Hollywood Walk of Fame. 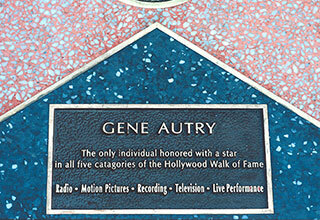 Learn more about the Hollywood Walk of Fame at their official website. 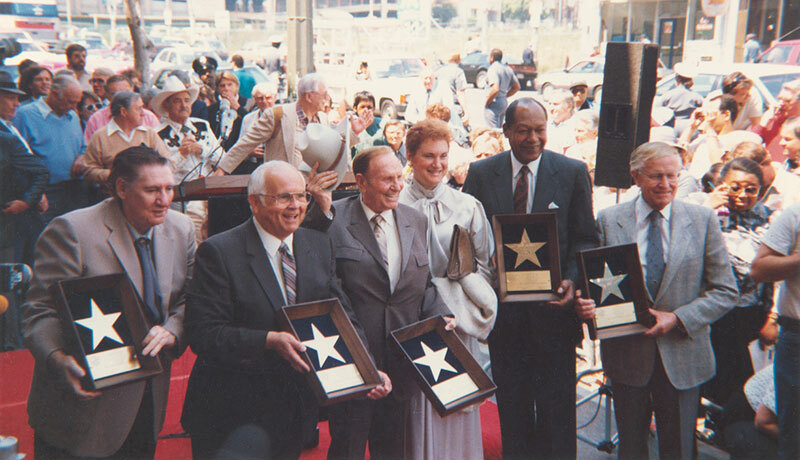 Pat Buttram, Johnny Grant, Gene Autry, Jackie Autry, Mayor Tom Bradley, and Bill Welsh. 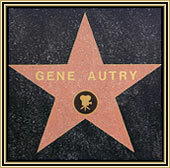 You can visit all five of Gene Autry's Hollywood Walk of Fame stars at the following locations. 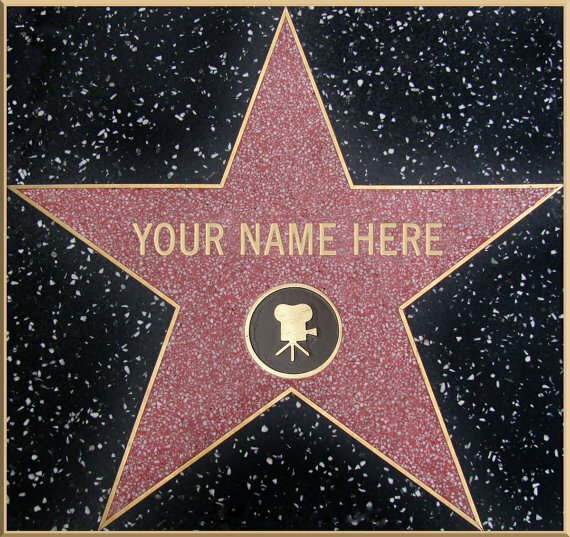 Click on the red address for a map and more information on each star.